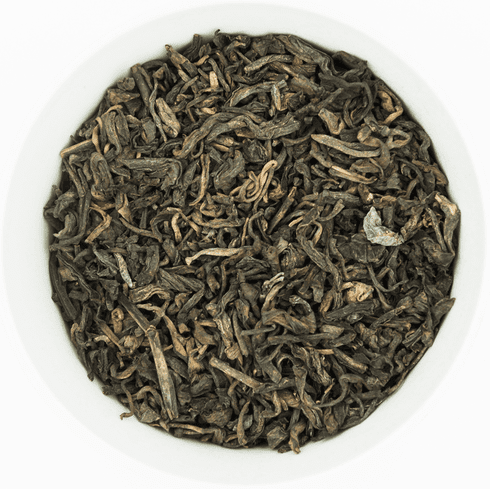 Ten Ren's Organic 1st Grade Pu-Erh Tea comes from Yunnan, China, a region known for producing excellent Pu-Erh tea. Tea brewed from Ten Ren's 1st Grade Pu-Erh Tea has a very dark reddish brown color. The USDA has certified that this tea has been grown with organic farming methods with no chemical pesticides used in cultivation. The aroma is distinct with an earthy undertone. The taste is lightly roasted with a prominent initial flavor and the aftertaste is faintly sweet with roasted undertones which linger. The water used to steep this tea should be at the boiling point, 212�F (100�C). Use about 2 teaspoons (3 grams) of tea leaves for about every 5 ounces (150 milliliters) of water. A steeping time of about 3-5 minutes is recommended with more or less time depending on the desired concentration.